Now is the time to create a debt elimination plan if you have come to the realization that "I owe too much money". To become financially independent you need to reduce or eliminate debt. Getting in debt is a lot easier than getting out. It's going to take some determination on your part but once you set your mind to being debt-free, you're on the path become debt free for life. 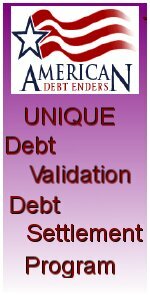 The best way to eliminate debt, is to create a debt elimination plan. If you don't put it down on paper and make yourself accountable, you'll veer off the path and be right back where you were before you realize it. Let me give you an example to encourage you to start your debt elimination plan sooner than later. If you have a $5,000 debt on a credit card with 19.9% APR, you're losing $998 a year. Yes, you are giving away $998 per year with nothing to show for it. Creating and following a debt elimination plan will help you plan your goals to reduce the money you are paying on interest. Let's get started on your debt elimination plan by looking at steps you need to take. Until you understand the entire picture of the debt you owe, you can't create a plan to eliminate debt completely if you don't realize how much debt you owe. While it's a surprising statement, it's easy to do as busy as things are in this day and age. You get caught up in the day to day survival without realizing the financial disaster that awaits you. You need to understand that living on a credit card and spending more than you bring in is an addiction that has to be broken just like any other habit. You'll have the urge to spend when you don't have the money but if you're going to start paying off debt and be debt free for life, you'll have to resist the urge to spend. Your plan should consist of deciding what debts to pay down first. Start paying off credit card debt first. In most all cases, this is the debt with he highest interest rate. Gradually as you are reducing credit card debt, you'll have more money to apply to paying down other debts. You'll hear a lot of people advise you to pay down your debt that has the lowest balance first. But if your debt with the lowest balance also has the lowest interest rate, this doesn't make sense. You should concentrate on paying off debt with high interest rates first because this will save you money in the long run. Paying off other debts should follow the same rules. You tackle the highest interest rates first. Each time you pay off a debt, that relieves you of one monthly payment that you can apply to another debt. You repeat this process until you are left with one debt payment. This is often referred to as the snowball debt reduction plan. Should I Pay Debt or Save? It is imperative you have savings as part of your debt reduction solution. You should have at least 3 to 6 months of living expenses in an emergency fund. This prevents you from falling back into the credit cycle as soon as an unexpected expense or emergency comes up. Unexpected expenses will happen, it's just a fact of life. While paying down your debt is of utmost importance, you can't turn a blind eye to planning for retirement. However, this will need to be a decision you make based on where you are at in your career. Let's suppose you have $100,000 worth of debt at 5% interest. You are investing in your retirement account that's bringing in a return of 10%. If you take into account you're paying 5% interest but you're making a 10% return, you have a 5% return on your investments. Again, it's your decision but keep in mind those investments could sink like a rock at any moment but you're debt isn't going anywhere until you pay it off. The stock market these days is extremely unpredictable so I would highly suggest you focus on paying off debt versus investing. Find an opportunity for additional income to apply to pay down debt. Go through your garage or attic and see if there are items you aren't using and could sell. Get a second job. You'd be amazed at how fast you can pay off debt with an additional income. I'm not saying it will be easy but it will be worth it to finally be debt free for life. First of all, call your credit card company and ask for an interest rate reduction. You never know unless you ask. They aren't going to call you and offer you a better rate. You have nothing to lose, all they can do is tell you no and they just might tell you yes. At any given time, only have one credit card. Cut up all your remaining cards and never look back. Do not carry your credit card if you are going shopping. This increases the temptation to buy something you can't afford. If you sit down and make a budget, you'll be surprised at how much money you're wasting. Tighten up your spending as much as possible and apply those extra funds toward debt. Here are several household expenses where you may be able to cut spending without pain, while making a big difference in paying down debt. Cancel the cable channels you don't watch. Trim down the Cell Phone bill. Only dine out as a treat. Don't make it a habit. Use Coupons - The money you save can be applied toward your debt elimination plan. In summary, it will be hard to break the cycle of debt in the beginning but the longer you work on it, the more it becomes a lifestyle. You're now well on your way to becoming free of debt.